After picking you up at your hotel with one of our 8 seated air conditioned Mercedes Van, our professional guide will drive during 2 hours until you reach the castle of Villandry, a unique example of renaissance architecture and 6 gardens : the kitchen garden, the ornamental garden, the water garden, the herb garden, the labyrinth and the sun garden. Villandry is purely a French style chateau, in particular as regards the form of the roofs, prefigured Anet, Fontainebleau and what was to become Henry IV style. Villandry’s originality lies not only in its avant-garde architectural design; it is also to be found in the use made of the site on which it was built, in complete harmony with nature and stone, with gardens of outstanding beauty. 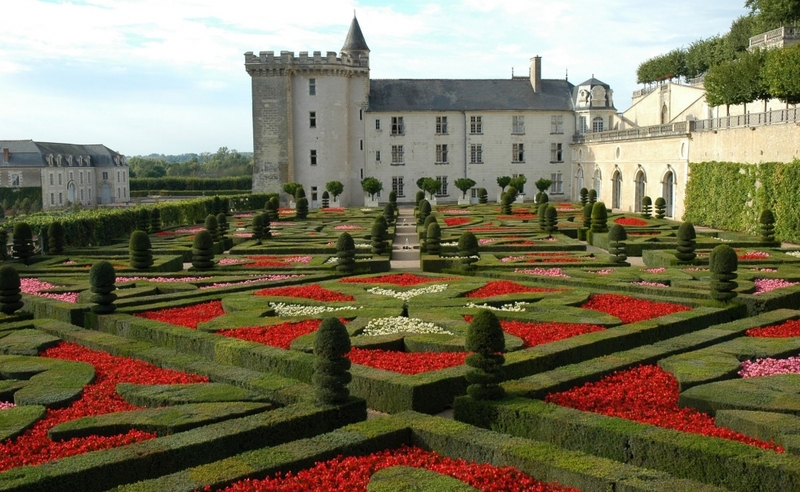 You will then visit the castle of Azay le rideau. The chateau is situated in the centre of the Val de Loire region. 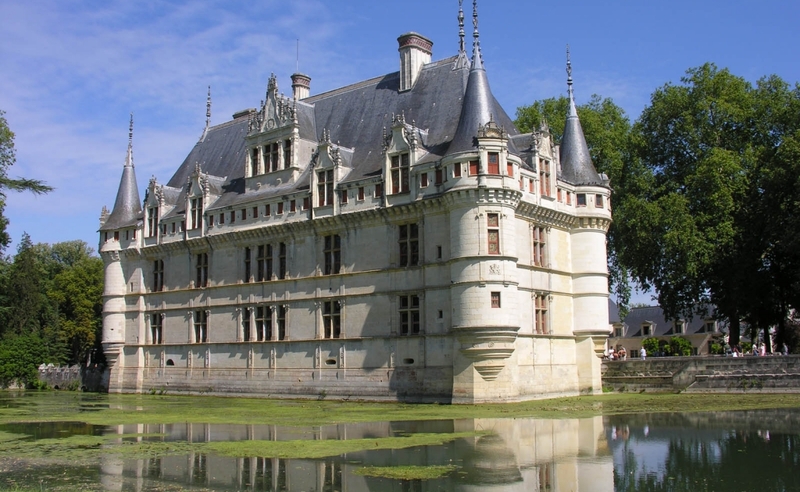 It was built on an island on the river Indre during the Francois I reign in the 16th century. The purpose was to reconcile innovations coming from Italy with the French art of construction. Located in a green setting and lapped by the gentle flow of the river Indre in which its facades are reflected, the Chateau fully expressed the refinement of a Palace of the early French Renaissance. The grand stair case is a master piece. Exceptional Renaissance furniture and 16 century tapestries. Finally you will end this trip with the medieval fortress castle of Langeais built in the 16th century and richly furnished. The interior is made up of fifteen rooms with a considerable collection of tapestries from the 15ht & 16th centuries remarkable for their state of preservation. 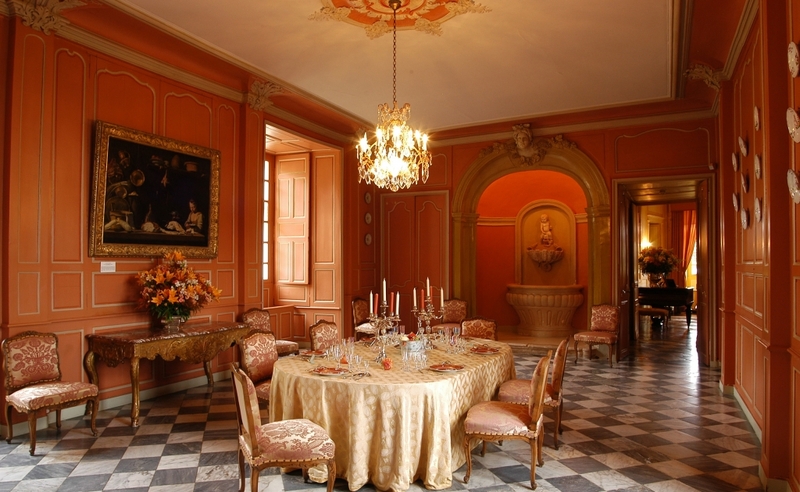 In the chateau, you will discover the daily life of the great lords of the Middle Age & a Museum space bringing together major works from the Middle Age period. The gardens of the Chateau is also remarkable with centuries sequoias and cedar trees and a Belvedere where you can overlook a cultural landscape listed as a world Unesco Heritage. It will take around 2 hours to be back to Paris to arrive around 7.30 pm. Lunch on your own. You can choose every day of the week on a private basis.